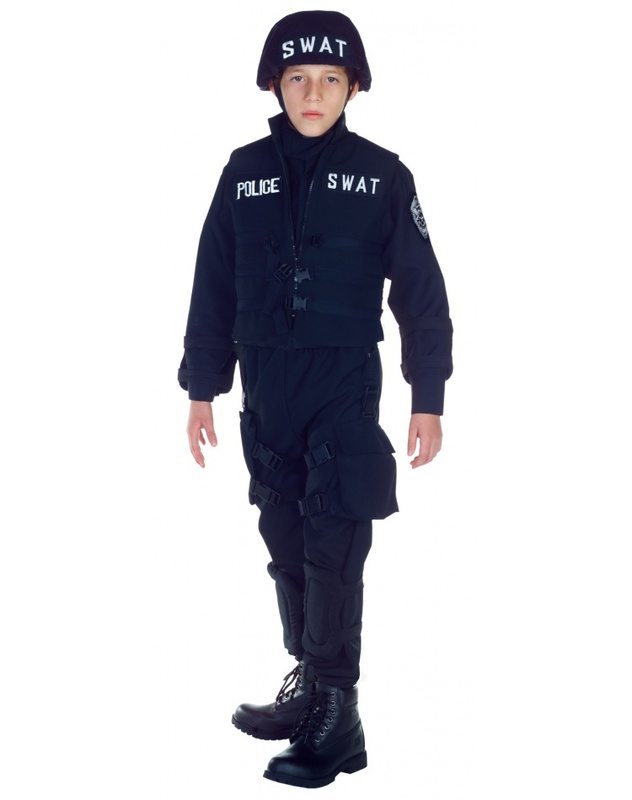 This kids SWAT costume includes the shirt, pants with holster, knee pads, utility pouch, vest and helmet. 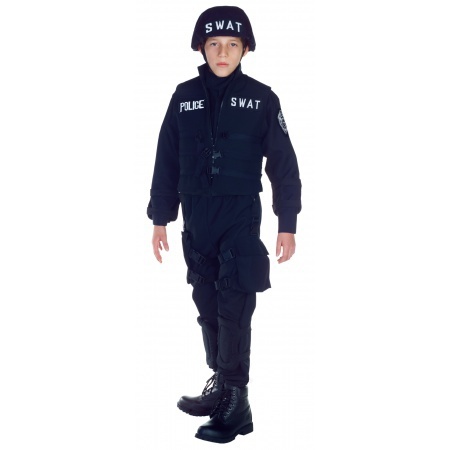 The kids SWAT costume comes in child sizes Medium, X-Large, Small, Large. Boys group Halloween costumes ideas: Wear several of these as SWAT Team costumes!